Sindhi wedding are best known for their grandeur and their strict rituals. Sindhi wedding rituals are a blend of Sufi and Hindu rituals. These are some of the oldest followed rituals in Hindu religion. Hence, Sindhi Community is also called Sanatani Hindus. This is the beginning of wedding rituals in a Sindhi wedding. 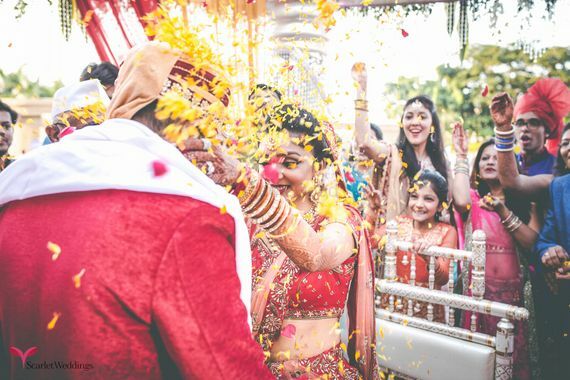 The bride and groom are accepted by their prospective families, involving a token or shagunof coconut and misri known as Kacchi Misri. Pakki misriis the formal engagement ceremony, the exchange of rings between the bride and the groom. Lada is the Sindhi name for Mahila Sangeet, women from neighbourhood and close relatives gather and sing and dance. Tih is the Ganpati Puja in Sindhi families. 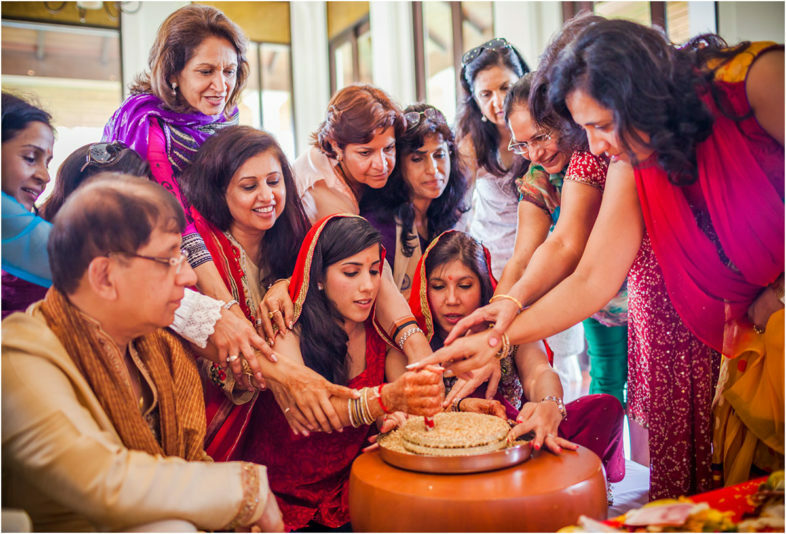 This is a special Sindhi ritual in which oil is poured in the bride/groom’s head by seven married women in the process of a Puja and presence of a Priest. The bride and groom apply Mehandi (henna) along with singing and dancing. Married women gather in the respective houses and grind wheat. This ritual is supposed to bring prosperity in the household. This is known as Ghari. Navgrahi Puja is the worshipping of Goddess Lakshmi, Lord Ganesha and all the nine planets, and inviting all the gods to the house to bless the bride and the groom. The applying of Turmeric Paste on the hands, palms and shoulders of the bride and groom at their respective houses. Tying of a holy thread on the wrists of bride and groom by a priest after a Puja on the morning of wedding day. The procession led by the groom, which includes all his friends and family from the groom’s house to the venue of wedding. The welcoming of the baarat at the gate of the venue by the bride’s family. The bride’s parents wash the groom’s feet with milk and water. This is done because the groom is considered as a form of God for them. The exchanging of garlands between the bride and the groom during the wedding ceremony. Bride’s palla, or the end of her saree in tied to the groom’s scarf. This tying isn’t supposed to be opened until the ceremony is over. 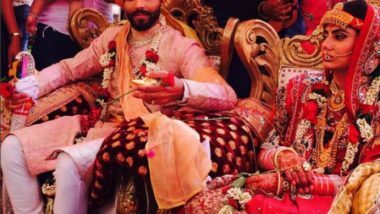 Both the bride and groom’s right hands are tied together with a red cloth. This is known as Hathleva in Hindi. The bride is given away by her parents as a form of gift to the groom. The circling around the fire is known as phera. This also involves chanting of holy verses and taking of the wedding vows. The Sindhi name for the welcoming of bride into the groom’s house. Groom’s mother ashes her feet with milk and water. The bride and groom exchange pinches of salt at least three times. This is considered as a shagun and is said to take away the evil eyes of haters. The stone idol of God Jhulelal is dismantled with a puja. The bride’s parents invite the couple to their house for a lunch and present them with gifts. This is the Sindhi name for an informal reception organized by the groom’s family after the wedding.